If you are seeking to give excuses or find explanations for the killing of Mario Deane in police custody in the Jamaica tourist resort city of Montego Bay, don’t bother. The mere attempt would prove you know nothing about Jamaica. The fact is men are murdered in the various prisons and lockups in Jamaica on a weekly basis. This is not hyperbole, this is not the rantings of a rabble rouser, this is the calm observation of a person who has practiced law in Jamaica for over thirty years. A person who has been to many lock ups and prisons, who has defended thousands of accused persons, and who is inexorably drawn to comparing Nazi death camp guards to the Jamaican Constabulary Force. I go further, I compare the mentality of members of the Director of Public Prosecutions and the Attorney General’s Departments to Nazis in their view of the accused persons as Jews. I have appeared in matters in which accused persons have served six or more years of a ‘pre-trial’ sentence and been denied bail because of the hysteria of prosecutors and the attitude of the judiciary. 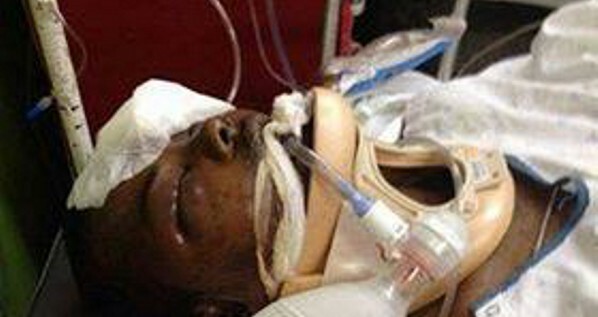 There is nothing unique in the murder of Mario Deane save the fact that it has provoked international attention. This is because instead of murdering the ‘average’ Jamaican they murdered someone who is not of the lowest class and who has parents who can speak cogently and obtain the best legal representation. The instructor, who was also the government pathologist, had recently come from giving evidence in the case of a death at the Central Police Station lock up. The police had deponed that the man fell from a bunk. He was never asked if the internal injuries could have been caused by a man falling from a bunk. If he had, he would have said, “No”. The only way those injuries could have been caused was if a man was standing with his hands on the wall and was beaten on the back by a baton. He was never asked, the police who murdered that accused person were exonerated. This happened the same week that Steve Biko was killed in the custody of the South African police. The world knows of Steve Biko. No one knows of this boy, whom I only know as ‘Junior’. He was one of many accused persons who have been murdered while in custody in Jamaica. The idea that because the judges are black, the police are black, the prosecutors are black and the accused is black there is no apartheid in Jamaica. The fact is, black Jamaicans are treated worse by the black police than the white police in apartheid South Africa treated black prisoners. Again, this is not hyperbole. After apartheid fell, when black South African lawyers visited Jamaica they found a prison system and a justice system, worse than what they had known. The murder of Mario Deane is virtually business as usual in our lock-ups. I was an advocate for putting police women on the frontline, thinking they would have a calming effect on the males. This has proven untrue. Female members of the Jamaican Constabulary Force are as cold and savage as any and often provoke their male colleagues to violence and denial of rights. Not all females behave this way, of course. But enough of them do so that I have often had to approach a senior officer, (male) and request he speak with the constable (female). The Jamaican Constabulary Force is out of control and has been beyond control for decades. The nature of ‘rights’ or the lack of them depends on the commanding officer, how active he or she is, their personal philosophy, and their control of those beneath them. There are cases in which inspectors are sidelined by vicious constables who do what they please, acting out their own pathology. There are cases of sergeants murdering people and demanding their subordinates participate in whatever lie they concoct. There is no ‘oversight’ committee nor ever has been. There may be some unit with some sort of nomenclature to suggest that there is supervision, but there is not, nor ever had been. Unlike other police forces in which every shooting or action is immediately subject to ‘Internal Affairs’, in Jamaica, most police do what they please without the slightest expectation of sanction. The trite “shoot-out” was a joke when I was an undergraduate. Police murder citizens with impunity. They beat them, they lock them up, they may charge them with a crime to maintain them in custody for as long a time as possible. As bad as the police are, the treatment the aggrieved citizen gains from the Attorney General’s Department when a law suit is filed, leaves no doubt that the mentality of the government attorney is that the citizen is less than human. The first time I experienced this attitude of a prosecutor towards the man in the dock, I was shocked as nothing had prepared me for the contempt displayed. When presenting a civil suit against the government for the denial of rights, the extent the prosecutor will go to dehumanise the claimant is such that dare it be tried in America, protests would be in the street and the prosecutor would be disbarred. In Jamaica, these sorts of prosecutors are hailed and promoted. If one adjusts their vision to see the government attorneys as Boers/Nazis and the accused as Zulu/Jew it forms logic. I explain this to warn you that if the case brought by Mario Deane’s family against the government goes to trial one will see a prosecutor, black, making scathing and offensive comments about Mario Deane, fighting to prove the police acted properly. And he or she will do this with absolute certainty that Deane was a subhuman who should not have been born and the police who murdered him are heroes. The Government knows the proclivity of its lawyers and appreciating that the world will be watching, may settle the matter quietly. The Government may settle not to show their compassion or disassociation from the murder, but to prevent further exposure. Exposure of what is not an unusual action but an almost genetic proclivity to see any person who is arrested, (save if s/he is a member of the upper class, has powerful friends in power, is a police officer or related to a police officer) as sub-human. This prejudice is endemic and the fact the complexions of the judge/prosecutor/accused match does not for one second provoke any sense of connection. So here is the Mario Deane case in synopsis: A Jamaican man, thinking he was a human being, a citizen, and had rights was arrested Early Sunday August 3, for having a bit of ganja. The offense attracts a $100 fine; (with a US$1 being $112.00 Jamaican). Because he thought he was human and spoke as if he had rights, he was beaten to death by male police while a female danced in glee. And when it was clear that the injuries were more serious than a few broken bones, he was shipped to one of Jamaica’s butcher shops, (known as hospitals) and the reason given was that he fell out of a bunk and/or was beaten by inmates. He died from his injuries three days later. Because we know ‘how it goes’ in Jamaica, we have to call for the attention of the international community. We must demand pathologists who will prevent the coroner’s court cover-up (by only asking about ‘external’ injuries). We must demand foreign based lawyers who can’t be shut up by the Jamaica Government. The Jamaican Government may very well offer a sum to the family in lieu of trial as the real injustice is our court system, and no one knows about that yet. Suzann Dodd is a Jamaican attorney-a-law in Kingston, who tries to bring justice into the world.